Cancer is second only to heart disease as the cause of death in the United States -- accounting for nearly 1 in every 4 deaths, according to the American Cancer Society. Because it's black tea, orange pekoe may help protect against cancer. An article published in "In Vivo" in March 2012 noted that studies show the combined activity of cancer-fighting polyphenols in black tea slows the spread of cancer cells and suggests that black tea extract may act as an effective cancer preventive. Consuming orange pekoe black tea may help fight off unhealthy bacteria. Drinking black tea slows the growth of harmful oral bacteria, helping to prevent mouth infections such as strep throat and dental cavities, according to Pacific College of Oriental Medicine. 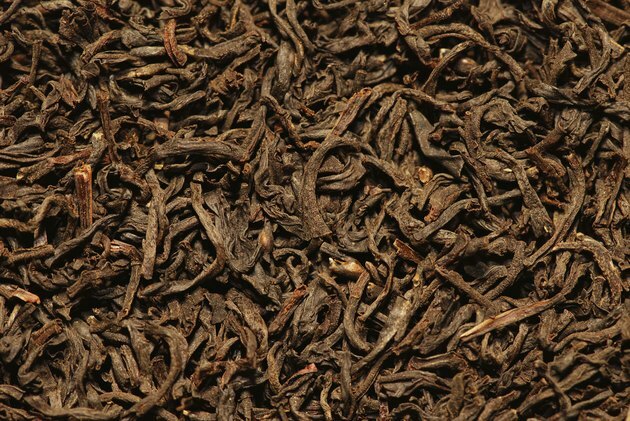 An article published in "The Indian Journal of Medical Research" in July 2005 noted that tea leaves are known for their antibacterial activity against many microorganisms. This study showed that black tea is effective in slowing the growth of certain dangerous bacteria. Oregon State University Extension Service: Time for Tea?